12 oz. glass jar with a spoon - new design! 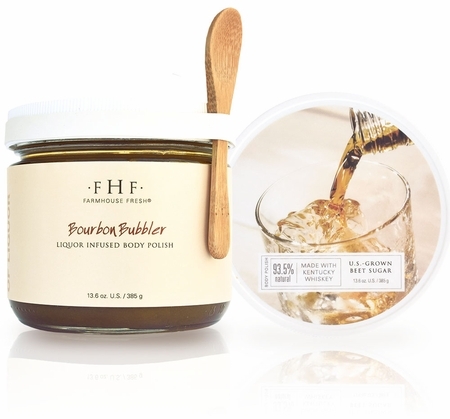 An intoxicatingly decadent body scrub! 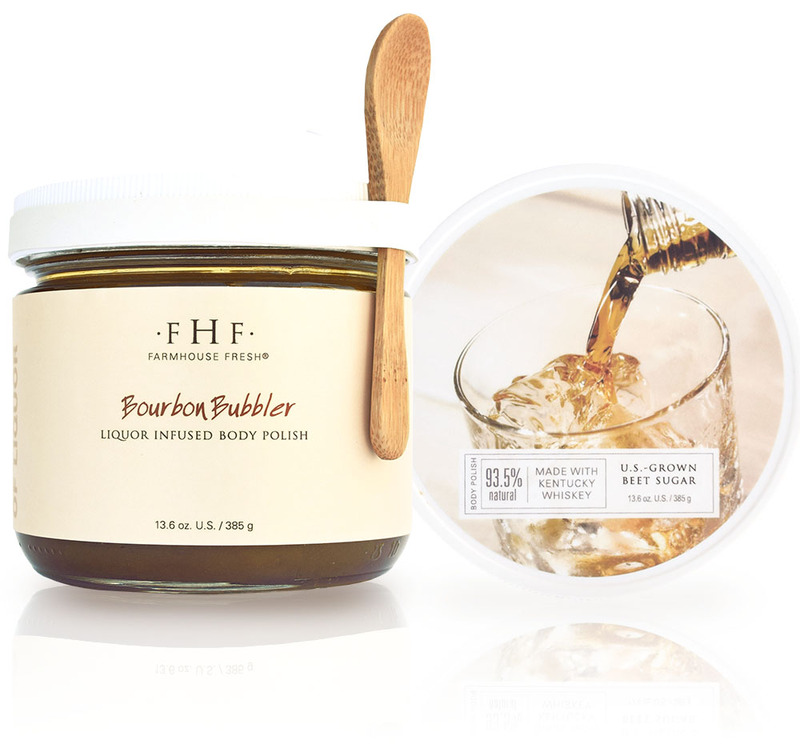 Brown sugar and real Kentucky whiskey combine in this rich, gingersnap-pecan scented fine body scrub. 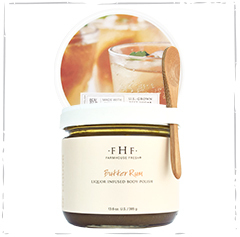 Apply in the shower or bath � it scrubs and refines every bitty bit of you, leaving your skin ultra soft, but free of the greasy residues that keep self tanning lotions from sinking in deep. Professional salon spray tans won't smear or dribble off! A fabulous gift for men and women alike. Coarse Brown Sugar, Rice Bran Oil, Vitamin E.
Brown sugar removes dead skin, providing easier penetration of other products. Sucrose, Glycine Soja (Soybean) Oil, Sodium Chloride, Ethyl Alcohol (Whiskey), Polysorbate 20, Oryza Sativa (Rice Bran) Oil, Parfum*, Tocopherol. *All FarmHouse Fresh fragrances are phthalate-free. Recommended for all skin types to remove rough skin. Apply in circular motions to wet skin while in the shower or bath. Rinse well. Use two to three times a week. IT SMELLS SO wonderful, I FIND MYSELF USING IT EVERY DAY!